Q: Do you have a toilet and shower block? A: No, all visitors need to bring their own facilities. Q: Do you provide hard standing? A: Yes, we provide five hard standing pitches and a road which goes to each pitch. Q: Do you provide serviced pitches? A: Yes, all our caravan/motorhome pitches are serviced to provide a 16A power connection, two fresh water connections and grey water drainage. Two fresh water connections are provided so you can have a permanent water connection and a second to fill up drinking water containers. Q: Is Horton Common an adults only site? A: No, the site is available for families. However, children are expected to be supervised and playing must not interfere with other guests. Any issues should be brought to our attention. Q: Can I bring my dogs? A: Yes, however, there is a restriction of two dogs per unit. There is no additional charge for dogs however owners are expected to keep their dogs on a lead at all times and waste must be promptly picked up and disposed of in the bin. Q: Does each caravan electrical supply point have its own RCD breaker? A: Yes, each caravan has a connection box with its own 16A supply and RCD breaker. If you were to trip your supply you can reset the breaker in your own connection box. This means only your supply will be affected and other units cannot trip your supply. Q: Do you provide an electrical supply for tents? A: Yes, we can provide up to 4 tents each with a 16A connection, please bring the necessary camping electric hook up kit with you. Q: Do all caravan pitches get a good view of the Staffordshire Moorlands? 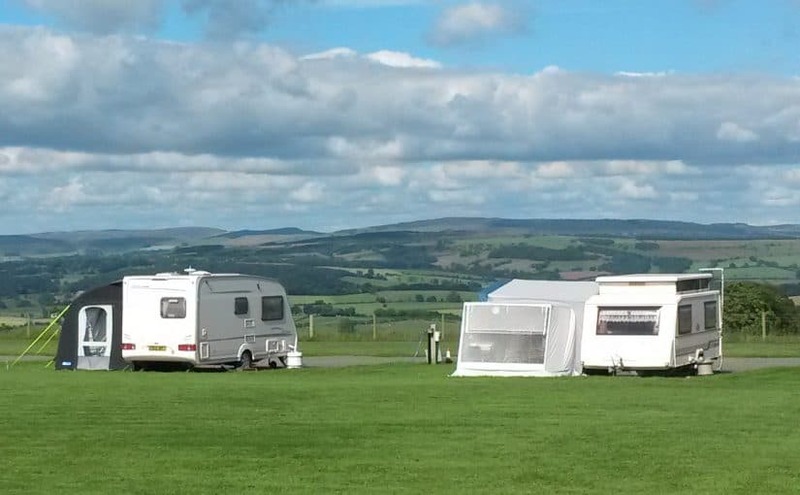 A: Yes, all five caravan/motorhome pitches face the amazing views over the Staffordshire Moorlands and the Peak District National Park.